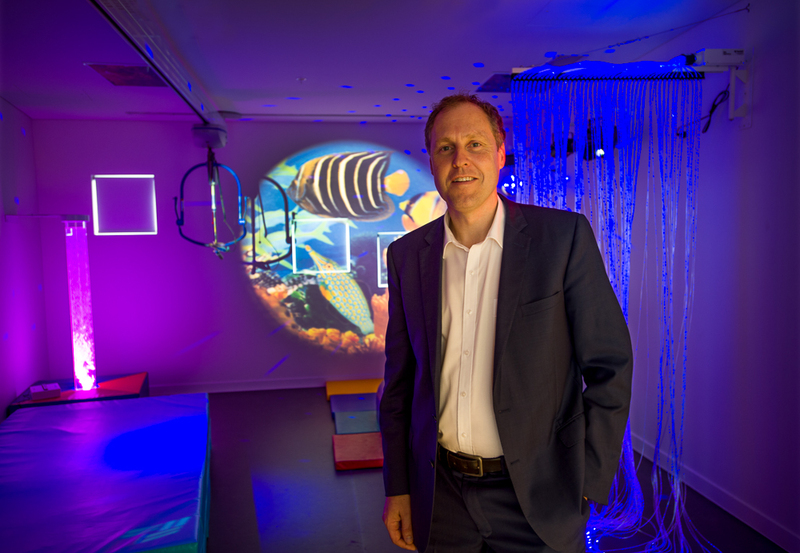 The founder of Queensland’s only children’s hospice, Hummingbird House, and QUT Executive MBA graduate Paul Quilliam was awarded the MBA Entrepreneurial Venture Award in London last night. Mr Quilliam, who co-founded the Hummingbird House Foundation with his wife Gabrielle, received the international entrepreneurship award from the global Association of MBA’s (AMBA) in the non-profit category from a field of nominations from 257 business schools around the world. Upon graduation in 2011, Mr Quilliam resigned from his senior position to use his new skills and contacts to dedicate himself full-time to establishing the foundation to raise $20 million from government and private donors to build Hummingbird House. QUT Graduate School of Business executive director Bob O’Connor said Mr Quilliam leveraged his EMBA cohort and the support of later cohorts to assist with the business and marketing plans. “Paul applied his EMBA skills of leadership, stakeholder engagement, marketing, influence, resilience, technology, finance and economics to make Hummingbird House a reality,” he said. It took just five years for Mr Quilliam to take the realisation of the needs of Queensland’s 3700 families with children with life-limiting conditions to the opening of Hummingbird House in 2016. The project quickly won support and funding from the Federal Government, Queensland Government, care service providers, the not-for-profit sector, private philanthropists and donors, business communities, the general public and most importantly, the families in need of Hummingbird House services. His goal of creating a children’s hospice offering the “best possible paediatric care in an environment that reflected home, love and respect” was presented with a compelling business case to more than 40 federal and state politicians. An unprecedented level of funding of $5.5 million each from the State and Federal Government followed. An international search was made to garner the best possible designs and facilities and a twinning agreement with East Anglia’s Children’s Hospices, a global leader in children’s hospice operation, provided international advisory support, clinical oversight and staff exchange. With brilliant design and colourful décor Hummingbird House looks more like a five-star hotel fitted out to delight children than a hospital. It has eight family suites to accommodate parents and siblings to be close to children undergoing treatment or respite. It is the world’s only paediatric hospice with the full accreditation of a private hospital, offering 24/7 care. State-of-the-art facilities such as pools, sensory rooms, and an all-ability garden playground make the stay of children with life-limiting illnesses full of fun and distraction.